CO oxidation has been investigated on three CuO/CeO2 catalysts prepared by impregnation, co-precipitation and mechanical mixing. The origin of active sites was explored by the multiple techniques. The catalyst prepared by impregnation has more highly dispersed CuO and stronger interactions between CuO and CeO2 to promote the reduction of CuO to Cu+ species at the Cu-Ce interface, leading to its highest catalytic activity. For the catalyst prepared by co-precipitation, solid solution structures observed in Raman spectra suppress the formation of the Cu-Ce interface, where the adsorbed CO will react with active lattice oxygen to form CO2, and thus it displays a lower catalytic performance. No Cu-Ce interface exists in the catalyst prepared by the mechanical mixing method due to the separate phases of CuO and CeO2, resulting in its lowest activity among the three catalysts. 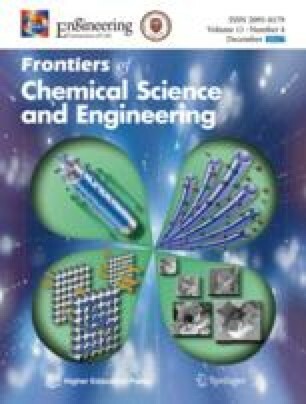 Supplementary material is available in the online version of this article at https://doi.org/10.1007/s11705-017-1661-z and is accessible for authorized users. The authors are grateful to the support from the National Natural Science Foundation of China (21576084, U1463205 and 91534127), and the Chinese Education Ministry 111 project (B08021).